Fresh seasonal produce can make the biggest difference. Produce that’s in season not only taste better, but have more nutritional value than when they’re not in season. Tomatillos are usually in season in October. So, save this for that Halloween party, maybe? It’s best served chilled. Even if you feel like you want this salsa verde RIGHT NOW, if you can find some juicy tomatillos in your market, go for it. 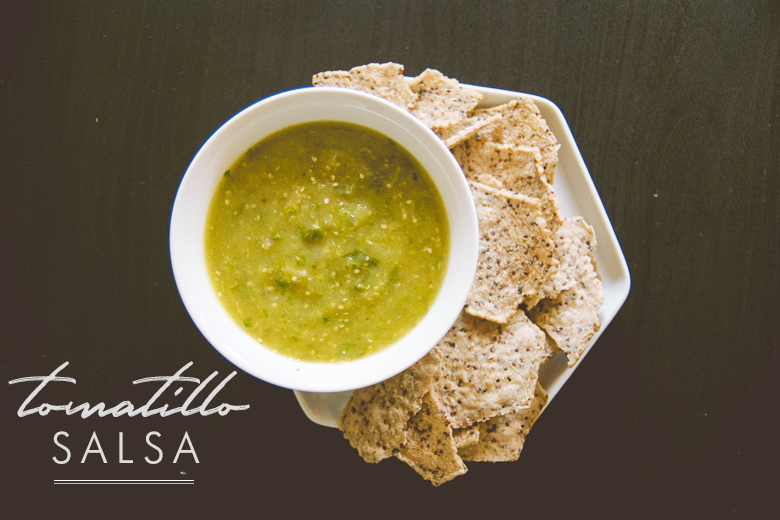 Swap out tomatillo for tomatoes & add more ingredients for that #1 hit salsa you’ve been dreaming about.